Tomás is a Landscape Architect and has a Masters degree in Environmental Resource Management. Tomás’ management responsibilities in MosArt include business development, innovation and marketing. His day to day professional activities are diverse, including landscape design, landscape character assessment, landscape impact assessment and, since 2002, Passive House design, specification and construction. 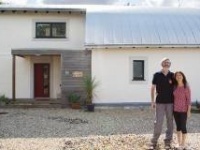 Tomás and his family live in Ireland’s first Passive House since 2005. He has co-drafted several national Best Practice Guidelines including those on Landscape Assessment, Wind Farm Planning and Passive House Design. He regularly presents papers at national and international conferences and is also involved in training Corporate Bodies and Local Authorities on sustainable building. 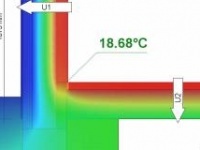 Will nearly zero energy buildings result in a thermal comfort deficit? As the UK inches towards zero carbon and nearly zero energy building targets, the construction industry must pay increasing attention to the impacts of regulatory changes on design and construction, argues Passive House Academy founder Tomás O’Leary. But will homes designed using the UK’s national methodology come close to passive house levels of comfort? 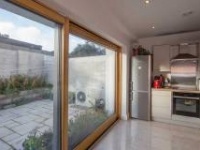 Box-like, small windows, primary colour renders - there is a common misconception that building to the passive house standard involves sacrificing design freedom for the sake of thermal performance. 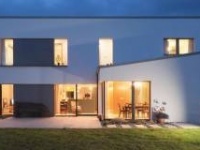 Not so, argues passive house guru Tomás O’Leary of MosArt and the Irish Passive House Academy, as his selection of architecturally diverse buildings reveals.